Interactive training puts all learned skills to the test through the use of stress-oriented, close range and realistic scenarios. 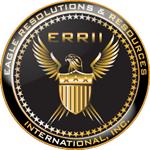 The Center for Operational Studies and Training (COST), also known as "the Center," a subsidiary of ERRII, offers basic and advanced training programs for local, state and federal government agencies, commercial and public clientele entering the investigative and security fields available in the U.S., thereby assuring that your Investigators, Close Protection, or Security Officers are the most highly qualified protection specialists available. Your Investigators, Close Protection, or Security Officers will undergo a spectrum of classroom and practical instruction from certified trainers. The Center's instructors have significant law enforcement, investigative, and security industry experience and certifications from the Federal Law Enforcement Training Center (FLETC), the Florida Department of Agriculture and Consumer Services - Division of Licensing (DOACS - DL), and the National Rifle Association (NRA). The Center is prepared to instruct both entry-level and experienced investigative, Security and Close Protection Officers through a full security curriculum. Courses are student-centered; Audio-visual training aids and small group discussions are used; Instructors provide student-specific feedback; Testing is used to assess skills learned by the student. Students are assigned individual shooting stalls; Protective eye and ear protection is required and provided; Instructors communicate with bull horns and whistles; Exercises begin with explanation and demonstrations; Drills are repetitive and reinforced; Drills end with a debriefing; As skills progress speed progresses; Testing is used to assess skills learned by student. Seminars sponsored by The Center include lectures on subjects and topics directly related to private investigations and security and is being accredited by numerous state licensing authorities, professional associations and societies. Unlike standard continuing education courses, our seminars are two-day programs consisting of from 12 to 14 hours of accredited instruction, are held in a first class hotel conference room, and are offered to professionals in a variety of fields within the legal community. Rather than a single instructor, The Center is composed of forensic experts, law professors, judges, prosecutors, investigators, polygraph examiners and security professionals known and recognized for their outstanding achievements in their chosen fields.